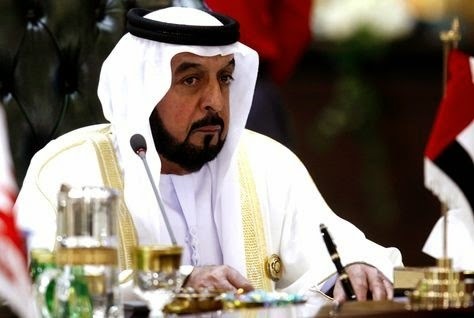 The president of the United Arab Emirates is expected soon to approve a long-awaited new law covering the operations of companies in the country, a step towards attracting fresh foreign investment, the economy minister said on Monday. "The companies law is with the government to be ratified by the President - we are expecting that soon," Sultan bin Saeed al-Mansouri told reporters. The new law, which has been years in the making, contains dozens of articles seeking to make limited liability and joint stock companies simpler to manage and more attractive to investors, while strengthening corporate governance in areas such as companies making loans to their directors. The law would provide for companies' documentation to be made publicly available, a step towards a more transparent corporate environment in the UAE. One article, contained in a version of the law given preliminary approval last year, would reduce the minimum free float in initial public offers of shares to 30 percent from 55 percent, the ratio which currently applies on theUAE's two main stock exchanges. The minimum ratio deters some corporate founders who want to maintain majority ownership, and has been criticised as one factor encouraging UAE companies to list their shares in overseas markets such as Londonrather than domestically. Officials have not confirmed that the article lowering the ratio will be included in the final version approved by the president. The law will certainly be less radical than some investors had hoped; last year the consultative Federal National Council rejected an article that would have eased tight controls on foreign ownership of companies, citing security fears and threats to local businesses. The article would have given the UAE cabinet the power to let foreign parties own stakes of up to 100 percent in companies outside free zones. Currently, foreigners can generally only hold stakes of up to 49 percent in businesses located outside free zones. Last year, the economy minister said the article liberalising foreign ownership would be included in a draft foreign investment law. That bill has now been finalised by a ministerial legal committee and is awaiting approval of the FNC, Mansouri said on Monday. Meanwhile a law on small and medium-sized enterprises, which the cabinet hopes will boost the growth of SMEs and encourage UAE citizens to establish companies, is on its way, Mansouri said: "The SMEs law has been ratified by the President. That should be out soon." The law is expected to include provisions encouraging government agencies to provide support to SMEs. The UAE expects to attract 8.6 billion euros ($11.9 billion)in foreign direct investment into its non-oil sector in 2014, 20 percent more than last year, Mansouri said. The second biggest Arab economy is investing billions of dollars in industry, tourism, real estate and infrastructure to wean its economy off its reliance on oil exports. But after an initial increase, the share of non-oil activities has remained at around 68 percent, little changed over the last five years, the latest official data shows.